I found a baby squirrel! The toenails are black, and baby was found at the base of a tree, gutter, or squirrel nest in attic/structure. If toenails are not black proceed to “Pink Baby” to determine if you have an opossum, mouse, or rat. A dead female squirrel is nearby. Cat or dog brought you the baby. The baby has many fleas or ticks. If any condition above is applicable a rescue is warranted. Proceed to “QUICK TIPS” located in the upper right of the menu bar. If the baby is okay the best option is to reunite the baby with its mother. Squirrel moms know what is best and will not reject their baby because you touched it! Warm the baby. Mom will not retrieve a cold baby! Baby must be warm to the touch, not hot. Provide a heat source during the reunification. A baby that is still pink with no fur cannot thermoregulate their body temperature and must be kept warm. Quick Tips-Providing Life Saving Heat. Select a small bread basket, cool whip container, or similar container no deeper than three inches. 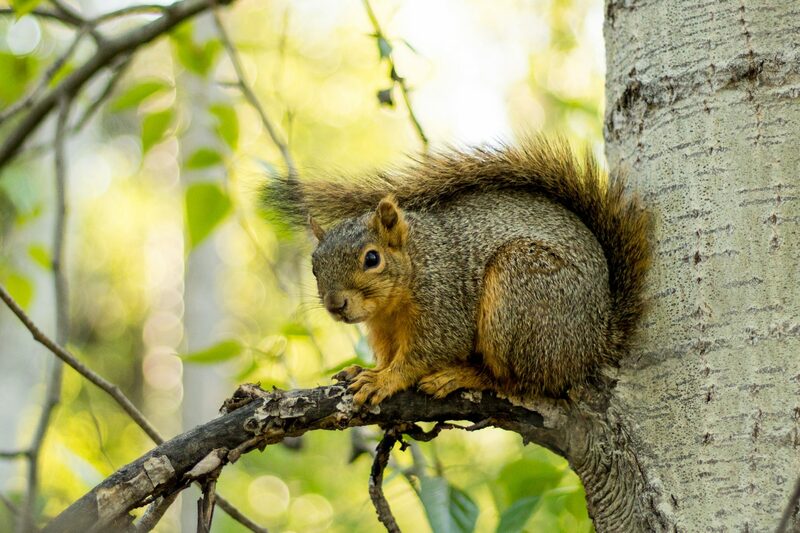 You may hang or attach the container (duct tape or nail) to the lower level of the tree if it is safe to do so and the squirrel cannot fall out. Or place container on the ground under the tree where you found the baby. Remember do not use a deep container as it will frighten the mother and she will not retrieve the baby. Do not cover the baby, she will not look under the cover. If you provide a cover for the baby to lay on, use T-shirt material as other fabrics can cause harm. Resist all temptations to feed, you can do more harm than good; that can lead to death. If you are comfortable doing so, as you place the container with the baby under or on the tree, press on its back leg just enough to get it to squeal, but not hard enough to hurt. This will alert the mother squirrel, just like your babies’ cry alerts you. All pets must be put up. All adults and children must view from inside your home. Mother will not retrieve the babies with an audience. Give mom 2 to 3-hours to retrieve the babies. If the nest was destroyed, it will take her 2-hours to rebuild. She may check on the babies and leave to build the new nest. She should return shortly after 2-hours. Do not attempt to reunite at dusk/evening/night! Mom squirrel will not retrieve at night. Keep the babies warm in a safe dark place away from children and pets. DO NOT FEED. Proceed with reunification in the morning. Read QUICKS TIPS for additional information. Be careful in extreme cold/hot temperatures. Check the baby often to be sure it is not cold or hot. If it is, stabilize its’ temperature before continuing. Do not attempt reunification during a storm or rain. Do not attempt a reunification if there is loud construction, chain saws, landscape crew, or other loud machinery as this will scare the mother away. Keep baby safe and warm. When your yard is once again quiet, proceed with reunification. Mom retrieves her babies, congratulations on keeping a wild family intact! Something went wrong and mother did not retrieve her babies within 2 to 3-hours, proceed to Quick Tips on finding a wildlife rehabilitator or call the wildlife hotline 972-234-9453. Be sure and read quick tips on containing and providing heat. I found an injured or orphaned squirrel! My cat or dog brought me a squirrel! When your pet brings you a gift, that wild animal must go immediately to a wildlife rehabilitator. Proceed to “QUICK TIPS” located in the upper right of the menu bar. You will find directions on containing, providing heat, and how to locate a wildlife rehabilitator. You may also call the hotline, 972-234-9453, for guidance. A baby squirrel ran up my pant leg! As strange as it may sound, we get this call or something similar every year. Often orphaned wildlife will seek assistance. When mom does not return, babies will leave the nest/den in search of help/food. If a squirrel has behaved in this manner it is orphaned. 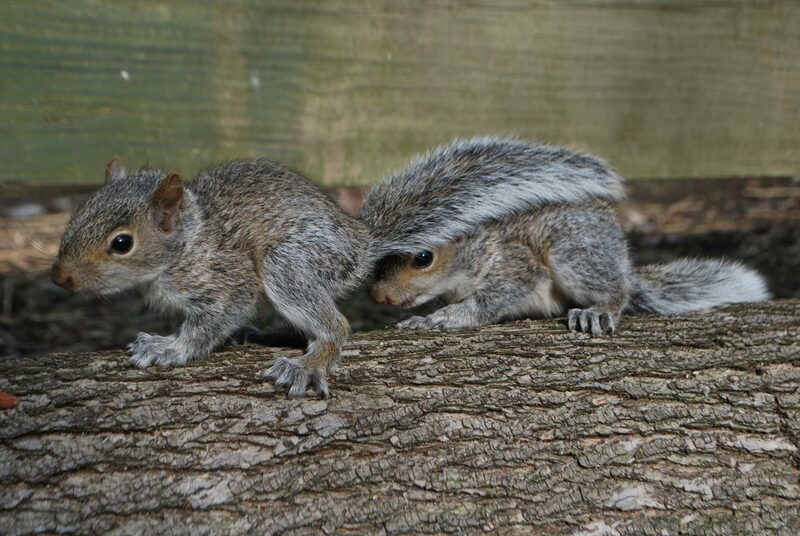 Contact the hotline, 972-234-9453 or a squirrel wildlife rehabilitator at once. Keep pets and children away from the baby squirrel. Contain the squirrel in a shoe box with air holes and lined with a T-shirt. Towels are not recommended for bedding because the loops in the fabric weave can catch toes, hands, and feet and cause injuries. Do not feed the squirrel. A wildlife rehabilitator must rehydrate the squirrel before resuming a feeding schedule. Transport to a wildlife rehabilitator as soon as possible, as dehydration may be critical. Do not attempt to bottle feed or use a medicine dropper as you can easily aspirate which will result in aspiration pneumonia. 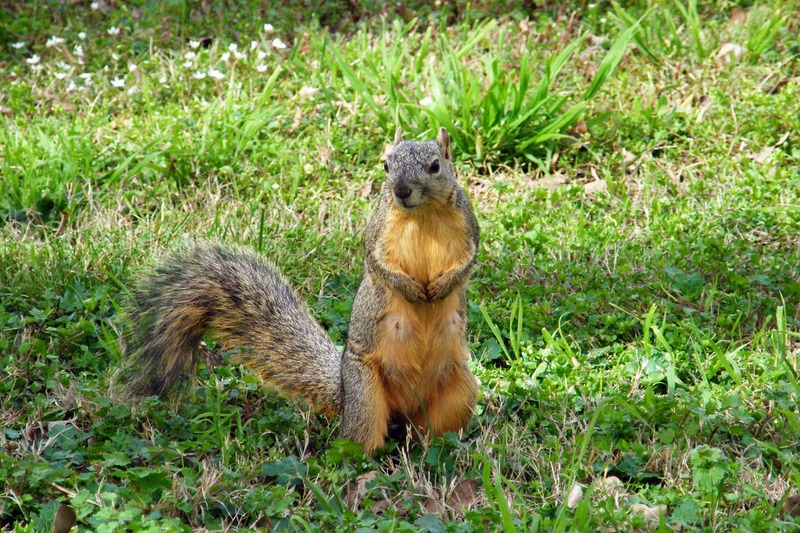 When a squirrel has aspiration pneumonia it cannot suckle, which can quickly become life threatening. It is illegal to possess wild animals without the proper wildlife rehabilitation permits. Proceed to our “QUICK TIPS” located in the upper right menu bar for further detailed instructions on providing heat and finding a wildlife rehabilitator. I cut down a tree not knowing there was a squirrel nest! Accidents can happen. If you find that you have unwittingly put squirrels at risk follow these steps to remedy the situation. Collect the babies. Did the mother survive? If she survived, she is nearby watching what is happening to her babies. Safely contain babies in a small box with air holes. Provide a T-shirt for warmth and comfort. Do not use towels as the threads can be dangerous when caught around tiny toes and ankles. Provide a heat source, see ‘QUICK TIPS’ in the upper right of the menu bar. I hear noise in my attic or chimney, could it be a squirrel? If the noise is during the daylight, you probably have a squirrel. During February through May and August through October there are babies. Often the homeowner is unaware of babies, until they have already trapped/relocated the mother squirrel. The squirrel is a single mother. Stress of relocation or lack of mobility of the young may cause the mother to abandon her young. Allowing the mother to relocate her babies prevents the homeowner from having additional cost associated with cutting into walls to retrieve fallen babies left behind. Patience is recommended for the babies to reach 6-8 weeks as they can then travel with mom out of your attic. Wait and observe. When the family leaves, make the necessary repair to prevent re-entry. Or you can install a one-way door allowing the squirrels to leave, however prevents reentry. See our “PRODUCTS PAGE” located in the upper right menu bar. If you cannot wait, an eviction is a simple solution. Requires no relocation. Family will remain intact. 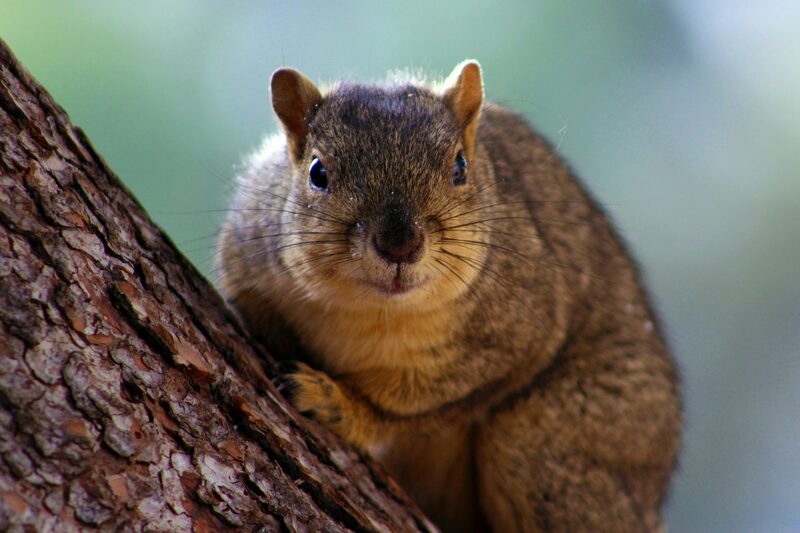 The use of deterrents encourages the squirrel to vacate by disrupting the quiet, dark nest. 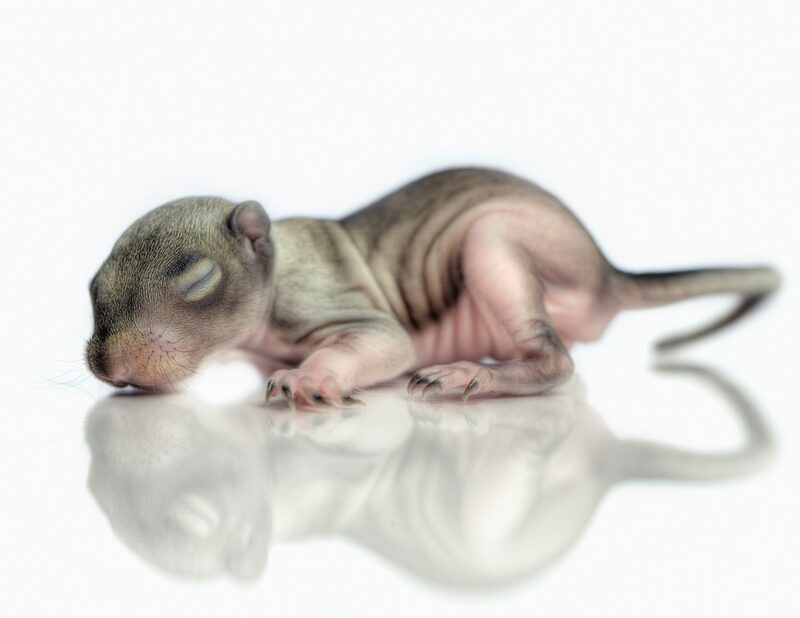 Eviction is the most humane solution and squirrel babies stay with their mother. FIRST, Identify entry points. Look around the eaves, plumbing vents on your roof, or air vents for the attic. Look for holes, even small ones, sometimes there will be fur around the edges. If the noises are coming from your chimney, and you can safely check, look to see if the chimney cap is intact. If you do not have a chimney cap, you will want to schedule an installation as soon as possible, as squirrels, raccoons and chimney sweeps may find your chimney a desirable home. Once you have identified the entry point, check for the nest which is usually located by the entry. Proceed with an eviction. An eviction must be deployed during the day for a squirrel. This is when the mother becomes active and leaves the nest to forage. Upon leaving the nest, if she feels a threat to her young family, she will begin relocating. This may be immediately if the mother has an alternative nest. If she must find or build a new nest it will take more time. A special note, if there are adverse weather conditions that may limit the mother’s activity, wait to begin the eviction as you do not want the mother to become accustom to the deterrents. Deterrents target the senses: sight, smell, and sound. The deterrents (light, radio, and Apple Cider vinegar) are turned on at daybreak and off at dusk. Do not leave on during the night, as the mother will get accustom and determine there is not a threat. Day one at daybreak, provide light to the nest. Depending on the location, you may need to use additional lighting such as a utility light with a clamp (extension cord, if needed) to flood the nest site with light. Add a portable radio on a 24-hour Rap music or Talk station at the nest, creates an additional threat to the family, as the preference is to have a quiet den. Place Apple Cider vinegar on some rags around the nest. Turn deterrents off at dusk. If you are unsure that the family moved, repeat deterrents at daybreak for day two. On the morning of day two or three (depending on when you believe the family departed) seal the entry with newspaper, plastic garbage bag taped to the edges, or other barrier that can be easily removed by the mother if she is still in the nest. The purpose is not to trap. The goal is to determine if the mother is still using the nest. Monitor for activity for 24-48 hours. Listen for babies as the mother can’t be at both nest locations. She may have partially relocated the family. If after 24-48 hours the opening is still sealed as you left it, proceed with permanent repair to prevent another squirrel or wild neighbor from taking up residency. Please feel free to contact the DFW Wildlife Coalition hotline at 972-234-9453 to discuss your eviction if you are having trouble or are unsure. If you want to hire a professional, call the hotline so we can refer you to a company that will humanely evict and guarantee the job. Be an informed consumer as some wildlife removal companies are not humane.